Solving Our Personal, Community and Global Success Puzzles! Helping Individuals, Organizations and Communities A.R.K. Know how to co-create their ultimate destiny. 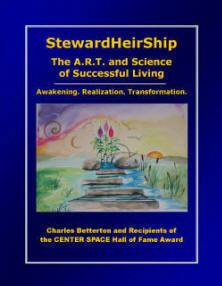 This forthcoming book from Universal StewardHeirShip, Inc. introduces Stewardheirship, "the A.R.T. 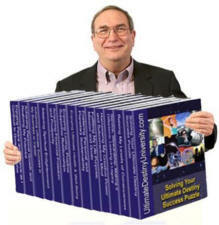 and Science of Successful Living". The contents include an overview of the field of Community Economic Development (that includes self-help, empowerment and capacity building) and the spiritual principles and practices known as New Thought. Benjamin Franklin said: "The destiny of America is not power, it is light." We believe the ultimate destiny of the USA is enlightenment or "enlightening the world" as inscribed on the Statue of Liberty. We have a vision of how "The United State of Americans" can help fulfill our destiny and provide enhanced opportunities for "betterment for 100% of humanity". That includes establishing a network of non-profit CAN DO! Community Economic Development Empowerment Resource Centers that will provide expanded access to "Successful Living Skills for the 21st Century" including the relatively new field of Infopreneurship. 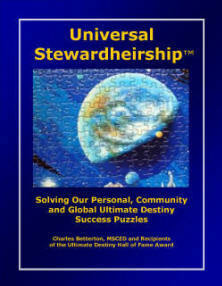 These forthcoming books from the new cause oriented Company, Universal StewardHeirShip, Inc. introduce StewardHeirShip and present a vision and Strategic Implementation Matrix™ for helping individuals, organizations and communities realize and actualize more of their potential and capacity for addressing the increasing social, economic and environmental challenges we face together. The opportunities inherent in those challenges and the increased focus on personal development, spiritual enlightenment and sustainable living were predicted in an article, Future Market Place: Consumer Heaven, from the 1997 issue of The Futurist. 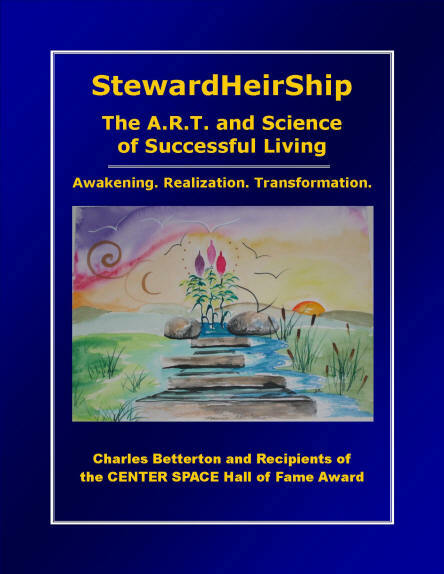 Our Ultimate Vision is a world of more fully actualized individuals living in a higher and more enlightened consciousness of StewardHeirShip™ as our shared destiny. That encompasses Bucky Fuller’s vision of “betterment for 100% of humankind”, Arthur Morgan's works including The Great Community, Donald Curtis’ vision in his book, Helping Heaven Happen and an adaptation of Abraham Maslow's work to our vision of fostering the cocreation of "fully actualizing communities". Our vision also incorporates the principles and practices of Community Economic Development that include Self-Help, Empowerment and Capacity Building. Our Mission is to: facilitate spiritual, personal, community and global empowerment and enlightenment; foster personal, social and global transformation; and help millions of people A.R.K. (Awaken to Spirit, Realize more of their potential and Know how to discover and cocreate their ultimate destiny (whatever that means to each one) by publishing, producing and distributing programs, products and services that accomplish those desired outcomes. Our Co-creative Organizational Strategy. The cofounders believe that what we are cocreating together is far beyond any company or non-profit organization. It is beyond a university, religion, philosophy, or any particular discipline or field of study. Our programs address mind, body and spirit, etc. and they encompass most if not all of the major developmental disciplines such as personal, professional, organizational, community and economic development and spiritual enlightenment. * S.P.I.R.I.T. When we use the words spirit and spiritual, we're not talking about religion. We define those words as Stewardship; Purpose; Integrity; Responsibility; Inspiration and True identity (remembering we are spiritual beings having a spiritual experience temporarily in a human form). We deeply appreciate the work of Judi Neal, Director of the Tyson Center for Faith and Spirituality in the Workplace and Patricia Aburdene’s great work in Mega Trends 2010, Seven Trends That Will Change the Way We Live, Work and Invest. She reported in her book that 3 of the 7 trends were spiritual and the most significant trend was spiritual, especially in the world of business. Click Here to see our answer to the question "How to design a spiritual business?" posted on the Tyson Center for Faith and Spirituality in the Workplace. 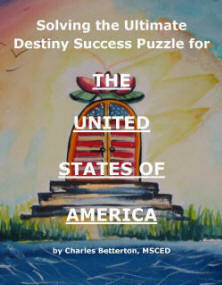 Know how to co-create their ultimate destiny, (whatever that means to each one). The StewardHeirShip Trust is envisioned as an intermediary between the S.M.A.R.T.E.S.T. 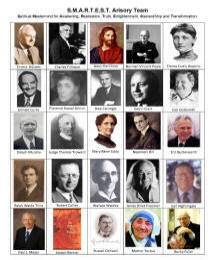 Arisory Board (Spiritual Mastermind for Awakening, Realization, Truth, Enlightenment, Stewardship and Transformation) and the boards of directors for each established organization, the Ultimate Destiny Hall of Fame Award recipients and the various project advisory boards. The participating cause-oriented companies and NPOs publish, produce, market and distribute books, digital programs, audio video programs, seminars, workshops, coaching, mentoring and consulting services. The major fields of focus include: personal growth and development, professional development, organizational development and social entrepreneurship, community development, community economic development and spiritual enlightenment, consciousness and transformation. Most (if not all) of these programs, projects and products are based on the Principles and Practices of Community Economic Development that include Self-help, Empowerment and Capacity Building. The participants provide consulting services in all of the fields mentioned above plus publishing, electronic publishing, marketing, Internet marketing, visioneering, co-creative strategic planning, leadership, multi-sector collaborative partnerships, creative thinking and problem resolving, successful living skills for the 21st century, entrepreneurship, infopreneurship, social enterprises, “ultimazation” ™, strategic alliances, collaboration and how to design and implement a strategic marketing matrix™, etc. Helping promulgate the Principles and Practices of Community Economic Development that include Self-help, Empowerment and Capacity Building. The University for Successful Living and Centers for Successful Living that introduce and provide training on Successful Living Skills for the 21st Century. CAN DO! Empowerment Resource Centers. Establishing an international network of non-profit Empowerment Resource Centers and ETMS, Empowerment Training Mentoring Systems. Helping introduce people to New Thought Principles and Practices for more conscious, sustainable living and earth stewardship. Helping co-create and promote intentional communities based on Love, Spirit, Service, and Stewardship. Harnessing the power of edutainment including Empowerment Marionettes to help children tap the power of their imagination, enjoy greater self-esteem and realize more of their inherent potential. Ultimate Fundraising programs that help fund and empower non-profit organizations that focus on personal, organizational, community development, empowerment and enlightenment. Publishing and distributing spiritually centered programs from CENTER SPACE such as Crowned with the Ultimate Success of the Lord. The most recent related developments are establishment of Sedona Collaborative Enterprises and incorporation of Universal Stewardheirship, Inc. 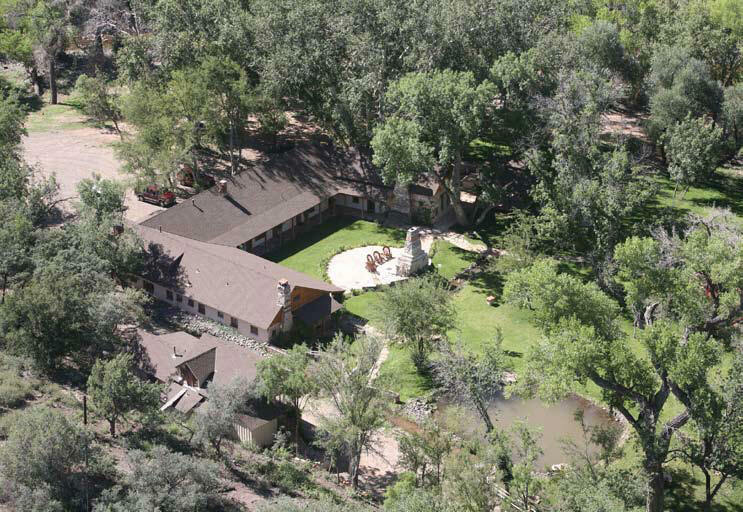 Invitation to Help Manifest StewardHeirShip™ of a 134 acre property south of Sedona, AZ as a center for conscious sustainable living, a retreat center, community land trust and or intentional community. Click Here for details. Click Here for our answer to the following question on the web site for the Tyson Center for Faith and Spirituality in the Work Place: How to design a spiritual business? If you were designing a business from the outset, so that it would embody spirituality within it (NOT religion, but spirituality), what would you do differently from simply launching a new business in the 'normal' fashion? For more information on the StewardHeirShip Trust or any of these organizations, projects or programs, please contact Charles Betterton at 928-554-4715 or by email at ceo@universalstewardheirship.com. Copyright 2011-2017 by Universal StewardHeirShip, Inc. All rights reserved.